Whether you’re a creative freelancer or a client, these Dr. Freelance® guides can help improve your business relationships and results. 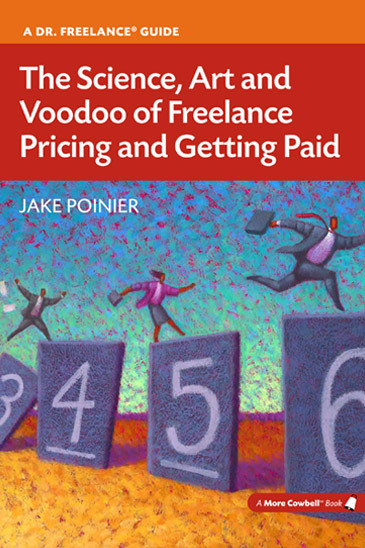 Are you struggling to price your freelance services profitably? Do you feel as if prospective clients always have the upper hand during the sales and negotiations process? Or are you busier than ever but not making as much money as you believe your skills and experience warrant? 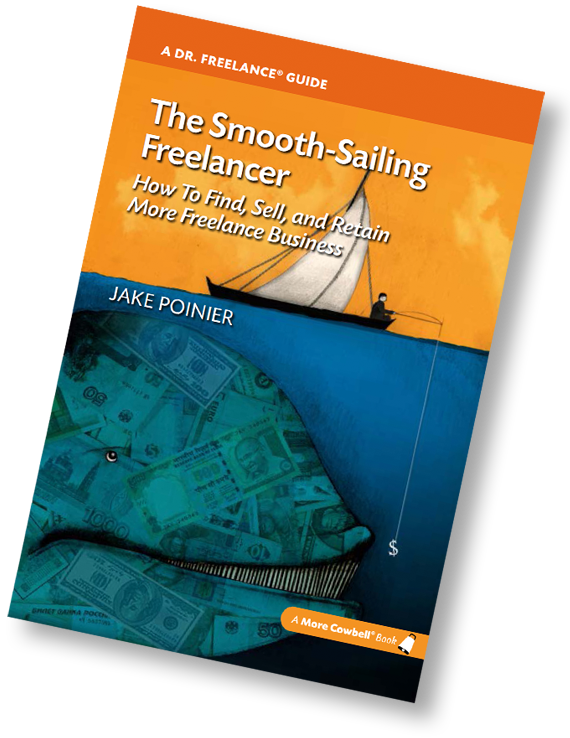 You’ll also find many more practical, easy-to-implement insights that can help you secure freelance jobs at a higher rate than you’ve ever thought possible. Help! My Freelancers Are Driving Me Crazy! You want a freelancer who’s talented, reliable, flexible and affordable—someone who understands your business needs, has expertise in your industry and hits every deadline. Too much to ask? Not at all. The creative process is lot less stressful and more productive when you’re working with a freelancer who’s as committed to your business success as you are. So don’t go crazy. Take action. Download Your Free Copy Here! 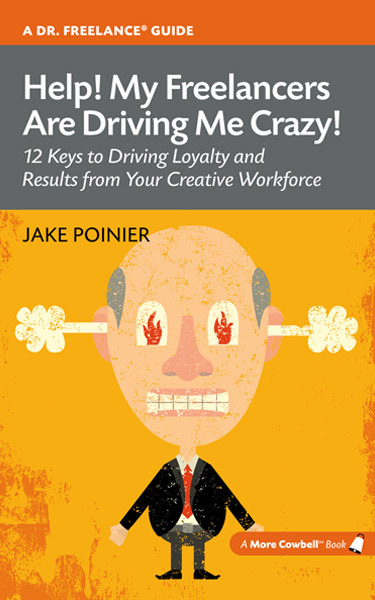 More Cowbell Books is an independent publishing venture founded by Jake Poinier, a.k.a. Dr. Freelance. Why “More Cowbell”? You may recognize the catchphrase from the famed Saturday Night Live skit, with Christopher Walken and Will Farrell spoofing “behind the scenes” band documentaries—but if not, take a few minutes to watch it here. More Cowbell has worked its way into popular culture as shorthand for delivering that extra touch that puts something over the top, which is precisely the goal of these books. The first method to develop a pricing scheme for your services is to consider what you need to live on as well as what you want to save from your profits. This is the bottom-up calculation. You can use it whether you’re full time or part time; the goal is to figure out your hourly rate, regardless of how many hours that might be. There are two components: the actual annual expenses that you need to cover, and your anticipated work schedule. In this step, you’ll provide a summary of what your total expenses will be for one full year. In this step, you’ll indicate how many days you anticipate working during the year, as well as how many hours per day. For this calculation, ask yourself, “What do I want to earn this year?” If you’re new to freelancing, the key here is to shoot high, since you’re responsible for health insurance, life insurance, time off, both sides of your Social Security payments and other items that your previous employer was covering for you. According to the most recent Bureau of Labor Statistics data, the average employee benefits package is worth about 30% of the total compensation package—in other words, a $60,000-a-year job would warrant a $78,000 income goal for this calculation. So, in an ideal world, what would make you happy and profitable—and not just feeling as if you’re living check to check? 10% of the net profits from More Cowbell book sales are donated to United Through Reading®, a nonprofit organization that helps ease the stress of separation for military families by having deployed parents read children’s books aloud via DVD for their child to watch at home.